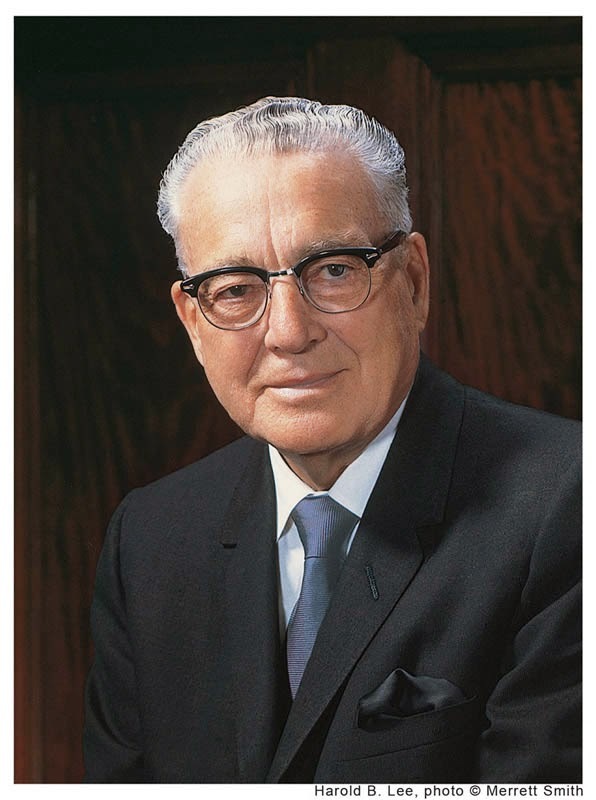 President Harold B. Lee (1899-1973) was called to the Quorum of Twelve Apostles in 1941. He served as a counselor in the First Presidency from 1970-1972, then as Church president from July 1972 until his passing less than 18 months later in December 1973. "In a sense, the word prophet might apply to all faithful Church members. I do not mean that we have the right to receive revelations as to how this church might be run, or that members may have revelations as to how or who should be named in a stake or ward organization. But I do say that the bishop in his place, the mission president in his place, the stake president in his place, the quorum president, the auxiliary leader, the seminary teacher, the institute teacher, a father and mother in the home, a young person in his or her quest for a proper companion in marriage—each of us has the right to revelation. "In other words, anyone who enjoys the gift by which he may have God revealed has the spirit of prophecy, the power of revelation, and in a sense, is a prophet within the sphere of responsibility and authority given to him." 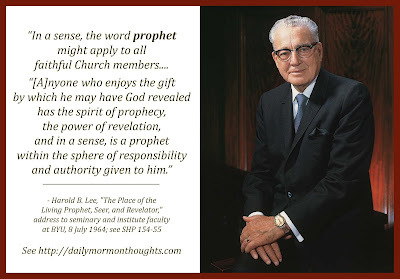 What is a prophet? What is the gift of prophecy? President Lee shares insights on these questions, pointing out the teachings from the New Testament that indicate all have the right to the gift as they seek and obtain a testimony of Jesus. And we all have the right to receive personal revelation for our personal stewardship. The key to this insight is the opportunity and responsibility for each man and woman to seek to be "a prophet within the sphere of responsibility and authority given to him." We should do all we can to be worthy of the inspiration and revelation that will come as we are worthy, and as we are seeking.